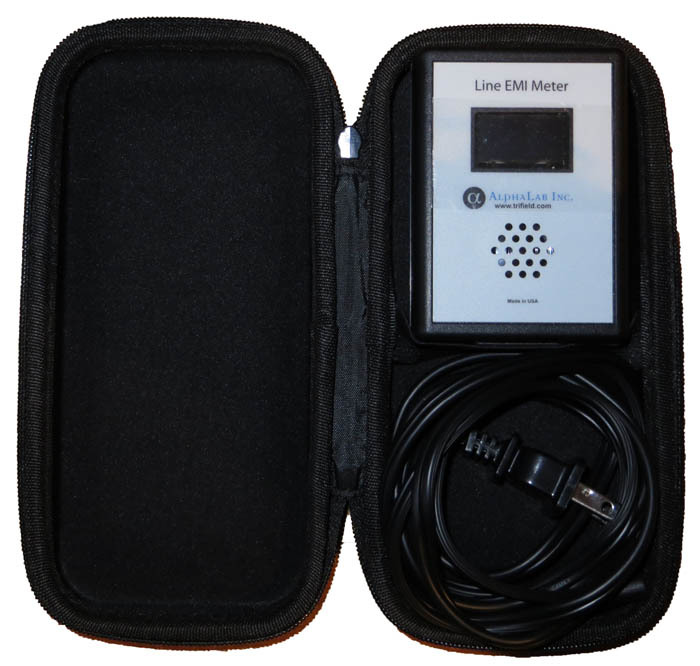 Power Line Meter which measures high frequency electric fields present on your power lines in milliVolts. It captures frequencies between 10 KHz and 10 MHz. These high frequency electric fields are commonly known as Dirty Electricity. Powered by plugging into a standard wall outlet, no battery required!